Looking for Air Conditioner Installer In Singapore? Buying an air-conditioner is a common task among households, offices, and businesses in Singapore. There are many considerations before buying the unit you need and one of them is having it properly installed in your space. This is where you need to look for a highly recommended aircon installer in Singapore to make sure it is set at the right location. Proper placement and sealing off holes is the mark of a true professional AC installer. Among all the popular services offered by aircon contractors in the region, the aircon installation Singapore price can be ranked at the top in terms of cost. Your air conditioning installation service provider may have high rates, especially if they advertise that your air conditioning needs installers who are professionals. HDB aircon installation permits are also required when installing a unit in the city. Service contractors then pass it on to the consumers adding to the rates of services such as air conditioner installation in Singapore. Cool Earth has all the required permits and trained professionals ready to install their client’s new AC units. The best thing about our company is when you compare aircon installation charges with other servicing companies you will see that ours is lower. We follow a step-by-step process when you hire our ac installation service. First, we inspect the area where your unit will be installed. We use this to identify the proper location and strategize on how to install your AC. Our professional installers always take the proper steps when doing their job. They are knowledgeable of the aircon installation manuals of many of the popular AC brands bought in the city. This includes everything from window-types to the aircon piping installations needed for inverter types or other much larger air-conditioning units. Cheap aircon installation in Singapore can be hard to find these days. We not only provide quality services at such low rates, but we also are not afraid of innovating the way we approach our business. We have expert technicians, friendly customer service staff, and a 90-day Workmanship Warranty as an added incentive for their clients. These types of services are what makes them a good aircon installer in Singapore. 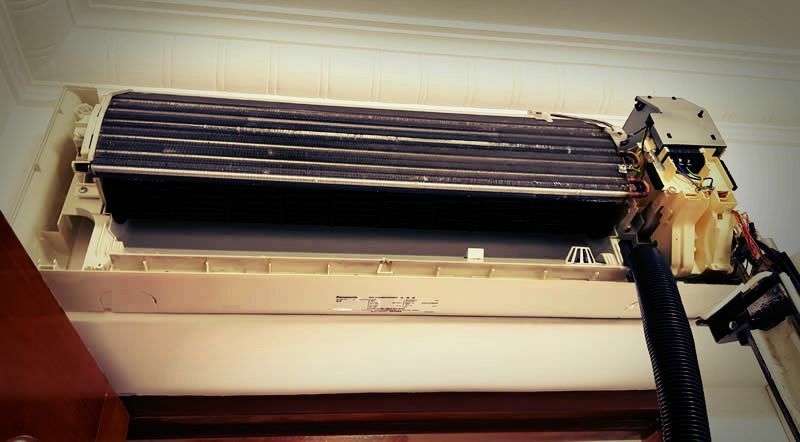 Given that Cool Earth offers quality services as a relatively older aircon installation contractor in Singapore, it comes to no surprise that we’ve also made their own blog about air-conditioners in their own website. Visitors to the site can read articles that would be helpful for people/families/offices who need some tips, guides, or advice for their air-conditioning. Whether it’s aircon installation, repair, or maintenance, our website will have all of that. Don’t let the Singapore heat make you feel uncomfortable inside your home or office. Buy an AC unit at Cool Earth and have it installed by our professional installers right away. Call us today. You won’t regret it! Looking for new aircon and professional installer? Buy an AC unit at Cool Earth and have it installed by our professional installers right away. Call us today. You won’t regret it!